Mira and Don Ball have spent a lifetime building one of the country’s most successful homebuilding businesses. They also have spent a lifetime giving back in ways that strengthen lives and build communities. 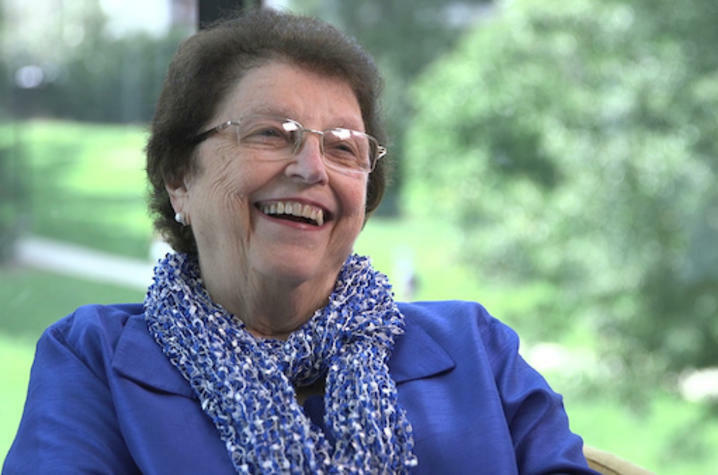 That idea — of giving in a way that is lasting, sustaining and building — underpins the $10 million gift to the University of Kentucky from Mira Ball accepted by the Board of Trustees at its December 2018 meeting. The single largest scholarship gift in UK’s history will support the UK LEADS (Leveraging Economic Affordability for Developing Success) initiative with a preference for students from Nelson and Henderson counties. The gift — part of the Don and Mira Ball Endowed Scholarship Program — will fund dozens of undergraduate and graduate scholarships in the two counties and surrounding areas, focused specifically on addressing unmet financial need. Mira Ball grew up in Nelson County; Don Ball was from Henderson County. They met at UK and graduated from the university before launching Ball Homes. The couple also has given to — or helped lead — dozens of other initiatives across the Commonwealth, including the Hope Center, which provides comprehensive assistance for homelessness and addiction. Ball said she and her late husband, Don, discussed the gift in detail prior to his passing, which made it all the more important to make the commitment now. LEADS is an initiative that attempts to address the unmet financial need of students. In recent years, UK has analyzed the factors that inhibit student success. Chief among them, according to the analysis, is unmet financial need. In fact, at $5,000 in unmet need, the success or retention rates of students drop several percentage points, irrespective of grades or other factors. The UK LEADS program is a cornerstone of the university’s comprehensive philanthropy campaign — Kentucky Can: The 21st Century Campaign for UK. As part of the historic $2.1 billion campaign, UK is raising funds for 2,100 LEADS scholarships and $300 million for scholarships more broadly. UK already has raised more than $1.1 billion toward the campaign goal, which also is focusing on research, health care, and campus building priorities as well as strengthening athletics and the university’s alumni network. Nearly $60 million of unmet financial need exists in Kentucky alone, UK officials estimate. Improving affordable access to college is critical to improving the Commonwealth’s economy. States with college graduation rates above the national average have higher per capita incomes and generally better health statistics and outcomes. “You should give because there is a joy for giving to other people, and there is nothing like the joy you have when you’re able to fulfill the need or help somebody,” Mira Ball said. "People need to understand that the university needs scholarship money to fulfill the needs of our brightest students and all of the students of the Commonwealth." Over the last two years, a pilot program for LEADS, impacting approximately 500 students, produced retention rates that exceeded predictions by almost 20 percent, UK officials said. Expanding the program is a critical component in UK’s plans to raise retention and graduation rates — already the highest in the university’s history — to among the best in the country. “When we publicly launched this campaign, I said that this was ‘our time to determine the future we want to create. This is our time to ask ourselves — what is the legacy we want to leave,’” said D. Michael Richey, UK’s vice president for philanthropy and alumni engagement.